If you attended a concert and didn’t get a souvenir…did you really go? 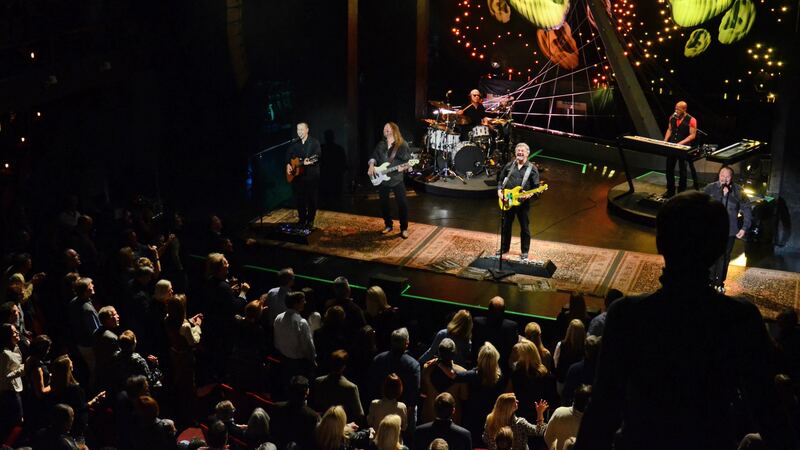 Music With Friends is one of our most rockin’ clients—providing a one-of-a-kind experience centered on legendary musical acts performing in intimate, acoustically superb venues. 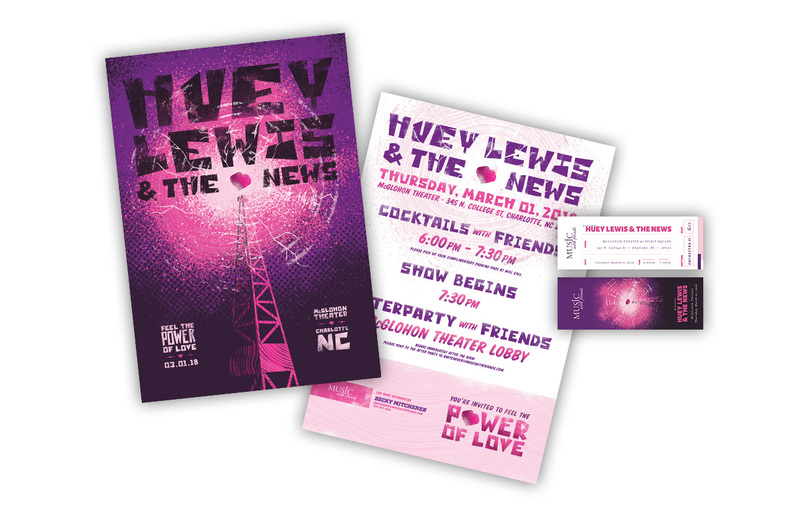 So, it only makes sense that as their agency partner, we craft some show-stopping promotional materials for each stellar performance, right? Right. As each Music With Friends show comes down the pike, we set out to create a handful of materials—digital save the dates and afterparty invites, social media graphics, and a brochure detailing each and of every one of amazing acts for the year. 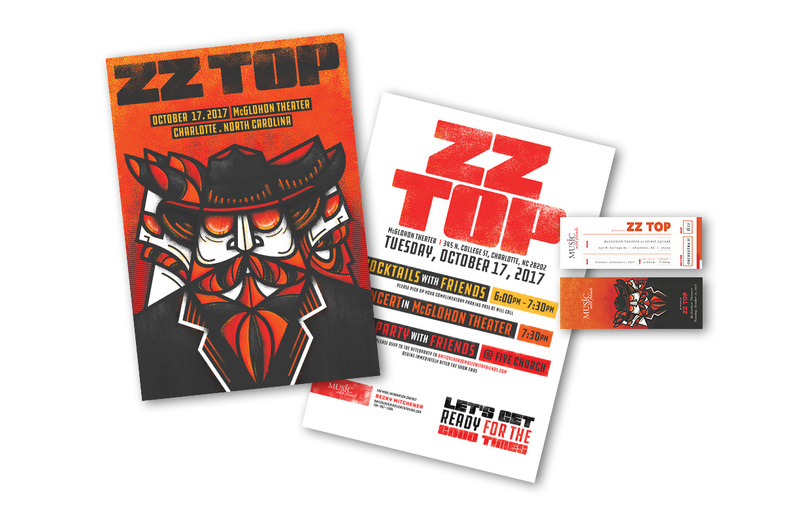 But the piece of work that really steals the show is our two-in-one invitation/concert poster and accompanying show tickets. 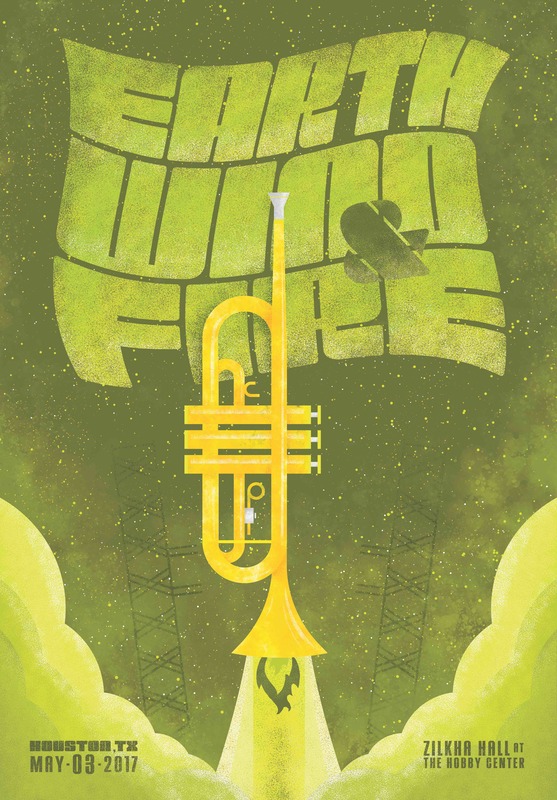 We know—gig posters that double as an invitation? Revolutionary! Well, it didn’t start off this way. Early on Music With Friends utilized a more standard concert invitations. They featured images of the artist or band and maybe a name and a date. That was until we came aboard and realized how much these invites meant to club members. Now days, each Music With Friends shindig is welcomed by an “invitation” which unfolds into a full-blown, artfully illustrated, poster reminiscent of great “gig posters” of the past. 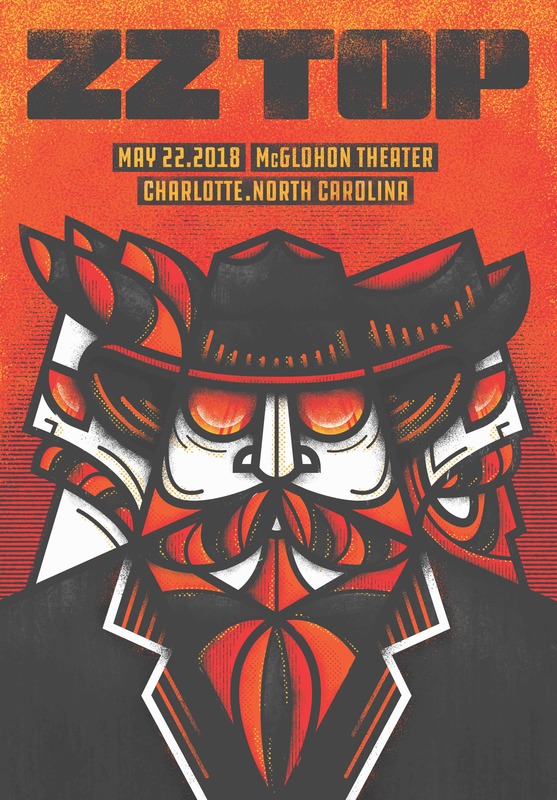 These one-of-a-kind posters are designed to pay tribute to the band and their unique personality, the songs and lyrics that stole our hearts, and the spirit of the host city. 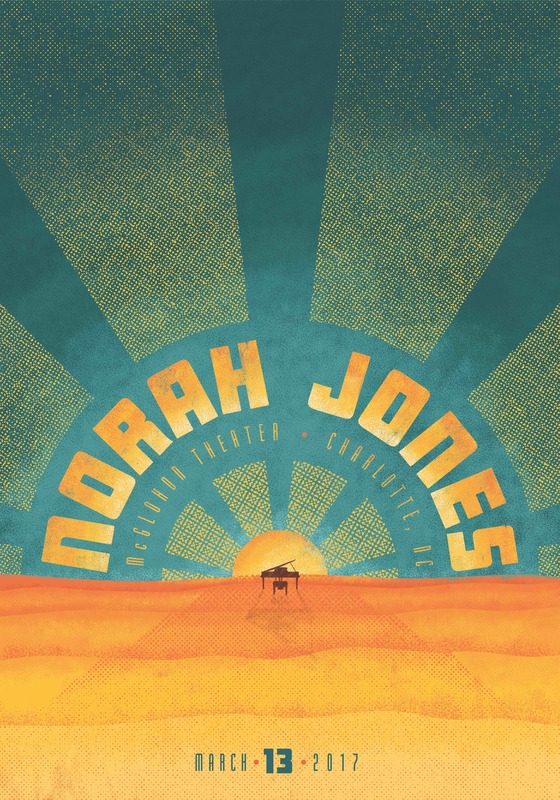 Norah Jones—known for jazzy vocals, 9 Grammy awards, and truly out of this world piano skills. 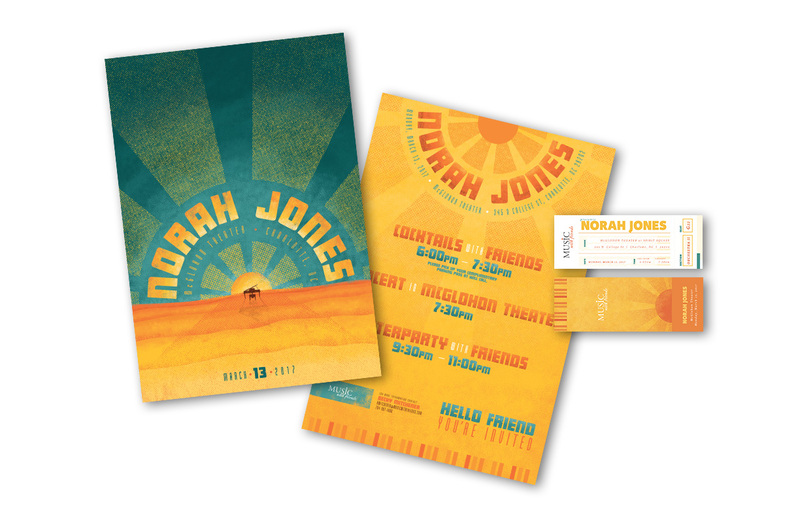 This poster pays homage to Jones’ Grammy award-winning tune, “Sunrise”. Legendary band, legendary beards. Need I say more? Do you feel the power of love? 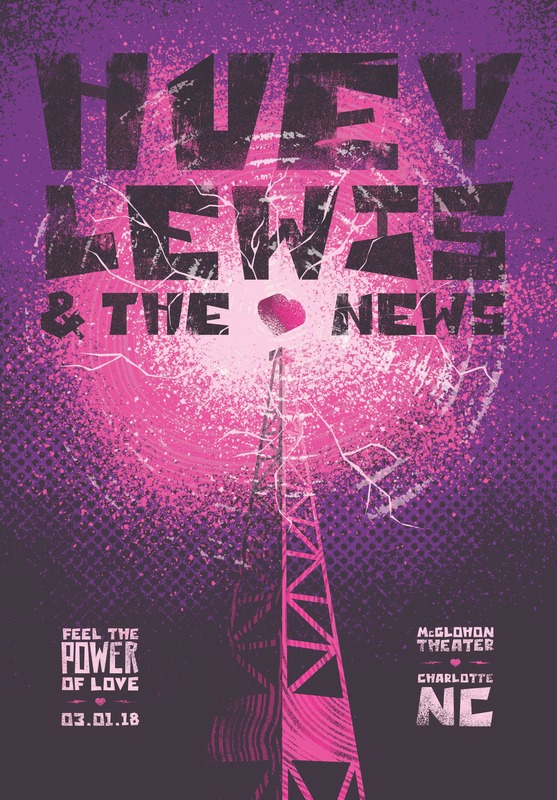 Huey Lewis and the News’ legendary song is brought to life in this electrifying concert poster. 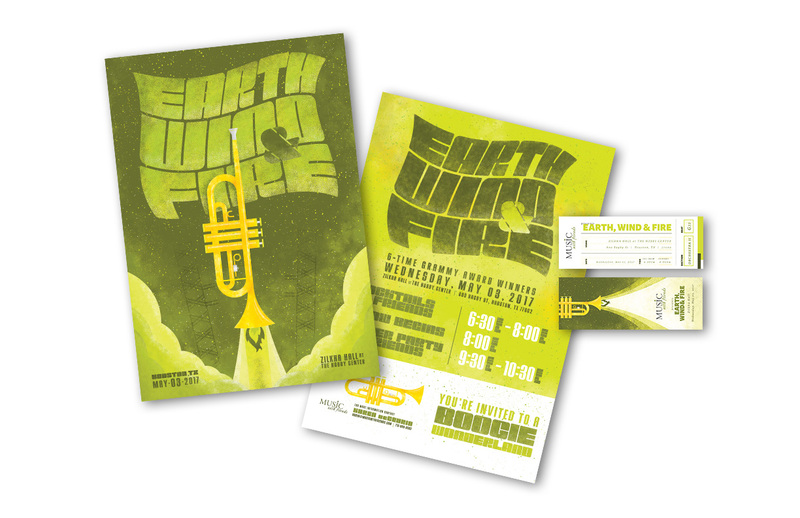 Now, these are the types of invitations that should be rightfully adorning the walls of concert attendees. And we don’t mind hanging them up on the office fridge either. So what are you waiting for? Join Music With Friends, if not for the awesome posters, then for the one-of-a-kind music experience. Check out the full website, which we recently gave a breakdown on, here! And keep the music playing!